Here’s the most accurate weather report in the history of the industry. The forecast in Burnet calls for a 100 percent chance of snow starting at noon Saturday on the town’s square. 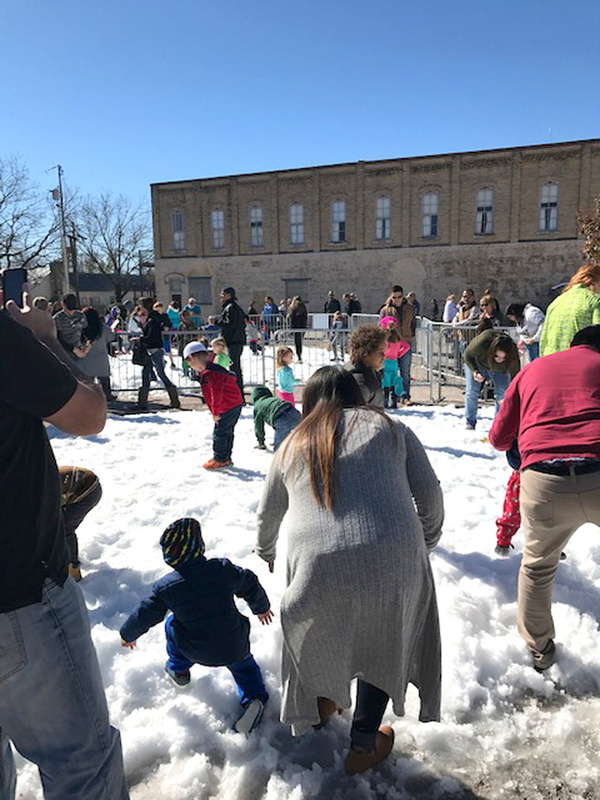 The Burnet Chamber of Commerce, city of Burnet, and Burnet County are dropping about 20 tons of the white stuff to create a snow play area on the square at the corner of Jackson and Pierce streets. Be sure to bring gloves, a hat, and a change of clothing. The snow kicks off a grand day of events Dec. 8 that make up Burnet's Christmas on the Square. “We’re looking forward to a real fun-filled, packed day,” said Burnet Chamber of Commerce Executive Director Kim Winkler said. A truck will dump 40,000 pounds of snow on the empty corner adjacent to the Burnet County Courthouse. Kids — including those young at heart — can grab a snow tube or sled to slide down a snow-covered hill. Two play areas will be set up: one for children 5 and younger and another for all others. The snow is made possible through a joint effort between the city of Burnet and Burnet County. Winkler admitted she didn’t sled down the hill last year but thinks she's ready to give it a try this time around. “I think I’m going to brave it this year,” she said with a laugh. Winkler recommends people bring a change of clothes because they will get wet, and most will want to stay to enjoy the arts and crafts booths and the live entertainment, which also open at noon, and the Christmas Parade, which starts at 5 p.m.
Live entertainers include Denise Moreau, Studio 29 Dance Center dancers performing scenes from “The Story of the Nutcracker,” and Michael Ryan, who recently released a Christmas album. The bicycle giveaway begins at 5:30 p.m., and families can put the names of their children into the drawing by going to the chamber office, 101 N. Pierce St., Whataburger, 402 E. Polk St. in Burnet, and Johnson-Sewell Ford Lincoln, 3301 U.S. 281 North in Marble Falls. The chamber also will have forms at Christmas on the Square. Look for its trailer next to the entertainment stage. Sponsors are still needed to donate money for the bikes. Applications for participating in the parade and being a bicycle sponsor or vendor can be found at burnetchamber.org at the bottom of the page. You can also call (512) 756-4297 for more information.